Welcome to The Great Indoors ! Your Number One Door Shop For Supply and Installation of Quality Doors & Ironmongery. The Great Indoors has been well established on Eastcote high street over the past 15 years. Our Sales Team know the product range inside out, questions are dealt with in a swift and efficient manner, and are answered in simple terms. A background in carpentry also provides us with the benefit of understanding how the doors you mount our products on are made, treated and the most suitable fittings are used to industry standards. 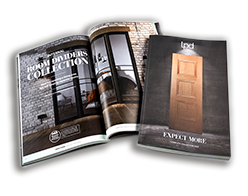 We have an extensive range of doors and ironmongery displays in store, we invite all our customers to come and see the range on offer, we are providing an efficient solution for the supply of quality door furnishings. For your security, we provide a range of locksmith services, as well as high quality safety and security products at reasonable prices. Need duplicate keys? We also cut keys In store. We only supply, in our opinion the best on the market from leading industry names such as Yale, Union, Ingersoll, Carlisle Brass, Primalite, Samuel Heath, Frank Allart, Turnstyle, Heritage Brass, Valli and Valli , Intelligent and Dale Hardware. It is of course possible to supply inferior product at a lower price, however we believe in durability and quality and some products do not meet British Standards and therefore are not recommended in store. Please contact us for a quotation on your Doors and Ironmongery. For Contractors & Trade Accounts please call Sales Manager on.